​A tremendous movie! Click﻿ here for details and ordering information. These resources are highly recommended for Twin Cities Ukulele Club jams. They are a great source of uke songs and information. 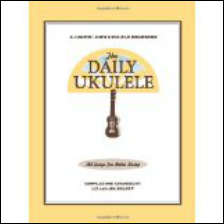 The Daily Ukulele: 365 Songs F﻿or Better Living - An Absolute Must Have! Often just called ﻿the "Yellow Book." Paperback and PDF versions are available online. Paperback versions at Cadenza Music in St. Paul and Groth Music in Bloomington. "The main purpose of this site is to make available chord charts and lyrics for songs that we have 'forgotten.' I will have the verses as well as the chorus of the song in my arrangements and links to Youtube that may help you learn and enjoy the songs for yourself." ​​Not for dummies! Just a super book written in easy to understand language. 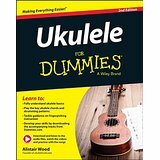 Click here for the Ukulele for Dummies book. 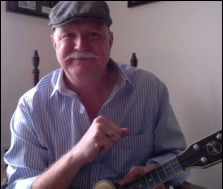 I use and recommend Ukulele For Dummies for virtually all the ukulele classes I teach. Favorite Old-Tim﻿e American Songs for Ukulele. Paperback and ebook version at Mel Bay Publishing and paperback at Cadenza and Groth Music. Great book with music notes (notation), TAB and lyrics. A bunch of great songs and a great learning tool. Well worth the money! Click here for uke price and size information, including how much should you spend and what size uke should you buy? Plus, what about new strings and is humidity a big deal? ​Here are some basic materials for jams.